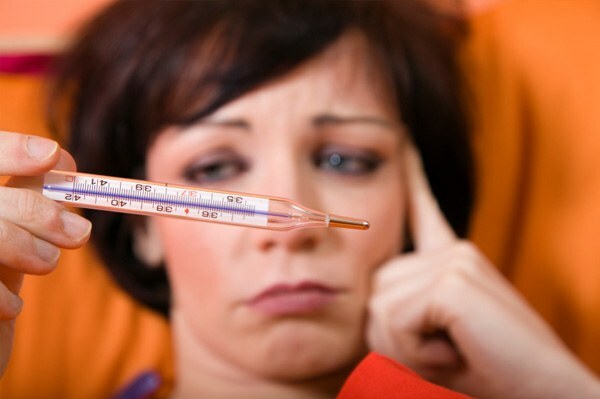 Many believe that to fight the common cold there is no particular need – she will be in a week. This is incorrect. First, possible complications. And then, it is possible to exterminate the disease in the Bud and not allow it to develop, applying effective methods of treatment. If your immune system is under attack of harmful bacteria and will protect her will help antivirals: interferons (they are only at the beginning of the disease, in the early days) and preparations of immunoglobulin (taking them from the third to fifth day colds during a meal). When cold, nasal congestion, you can use naphazoline, sanorin, other vasoconstrictor drops (not more than 3 days, if no contraindications). To resolve the dryness, itching in the nose, make the oil steam inhalation – they will soften the mucous. Well help following essential oils: peach, fir, eucalyptus, menthol. When it makes sense to take if the temperature rose above 38.5 degrees. But do not overdo them. Better stop for tea with raspberry, lime blossom and honey, cranberry and cranberry juice. And here is the recipe antifebrile drink: boil a tablespoon of dried raspberries, marjoram, plantain and mother and stepmother to two litres of boiling water. At the onset of cough, try a good warm up. To do this, try to take the infusion of peppermint leaf. Tablespoon of peppermint pour a glass of boiling water, infused for about 15 minutes, filtered. In the infusion is added a spoon of honey and juice, one third lemon. If you drink this mixture before going to sleep, the next morning the cough will be no trace. The sore throat rinse solution of soda, furatsilina, extracts of eucalyptus, calendula, St. John's wort. Gently helps to remove inflammation of the broth, which is prepared as follows: take 2 tablespoons of chamomile and lime blossom brewed stakanom boiling water Rinse the throat 3-4 times a day. Lean on vitamin C (citrus fruits, fresh vegetables) that the body's defenses are strengthened. Good to drink during a cold regenerating, lifting the immunity cocktail: squeeze the juice of half a lemon and add the rosehip syrup (a teaspoon), 2 tablespoons of yogurt and juice from beets. If the temperature is not reduced or disturbed phenomena such as the deep cough, rash, severe pain in the chest, throat, nausea, vomiting, excessive irregularity, headache – call doctor immediately. 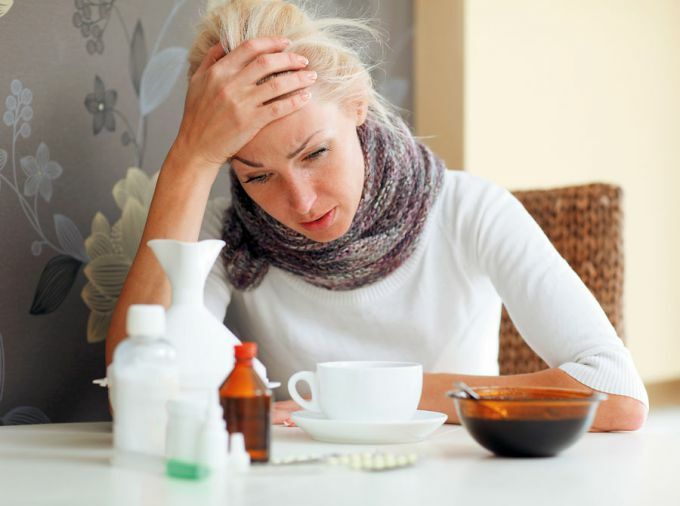 Most people suffer from colds during the change of seasons, for example autumn or spring. Experts combine these diseases into one category and called ARI. The causative agent - viruses and bacteria (staph, pneumococcus). The disease is transmitted by airborne droplets from another infected person. A high risk to infect other people in the first 2 days of the disease. During this period you feel good and are unaware of the disease continued to attend work and public places, thus infecting being around people. Hence such a huge number of patients. The disease is caused by the weakening of the immune system and deficiency of vitamins which support our body. This is typical in the spring, when there is a deficiency. The most common cause of reproduction of bacteria and viruses in the body is hypothermia. In addition, the stress contribute to the development of the disease, as they reduce the immune system. - people with lack of immunity is very vulnerable especially when it relates to cancer patients and HIV infected people. Upon detection of these symptoms, many are beginning to self-medicate. This should not be done, as no proper treatment can be various complications. In the future, it can greatly affect your health. Therefore, it is better to consult a specialist.